The resource: The DPS Dive Team exists as a terrorism countermeasure to protect underwater infrastructure within the state of Utah. Due to the equipment assets and the unique diver skill-sets, the dive team is often called upon to provide assistance to aquatic homicide investigations and accidental drownings. 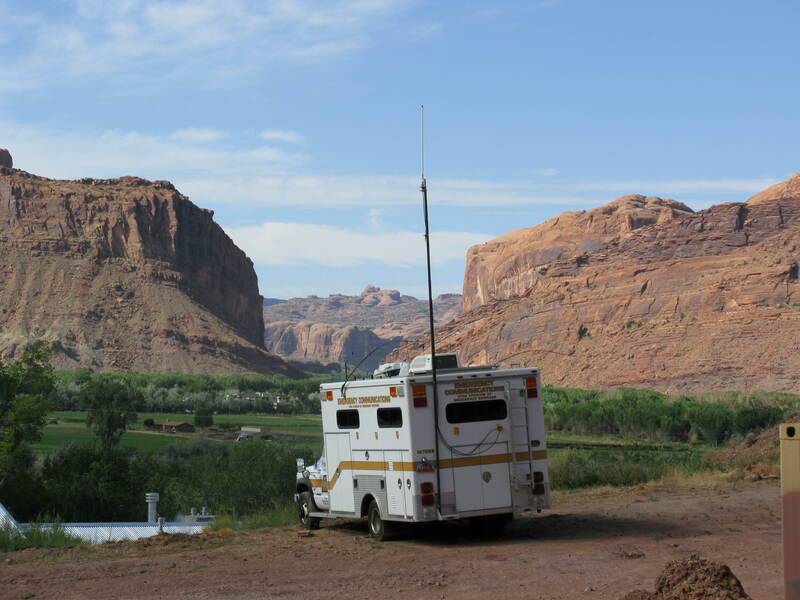 The dive team performs these functions at no cost to county and municipal governments in Utah. How to activate: Call Salt Lake Dispatch at 801-887-3800. They will then notify the team. This is a federal level response team designed to provide mortuary assistance in a mass fatality incident or cemetery related incident. The team works under the local jurisdictional authorities such as coroner/medical examiners, law enforcement and emergency managers. Members have contributed on numerous deployments, including the Oklahoma City bombing in 1993, in New York City from Sept. 11, 2001, through June 2002, the Olympic Games in Salt Lake City in 2002 and hurricanes Katrina and Rita in 2005 in Louisiana and Mississippi. Members have deployed to various airline crashes, including Alaska Airlines in , Egypt Airlines in 1999 and the Korean Air disaster in 1997. Learn more about the National Disaster Medical System here. The resource: The Utah Emergency Animal Response Coalition is a nonprofit that responds to help with animal-related issues in emergencies. Facilitate a prompt and effective response to animal emergency issues in Utah in a manner consistent with the National Incident Management System and the Utah Emergency Operations Plan. Reduce threats to the health and safety of humans and animals during an emergency. Minimize the economic impact of animal issues during emergencies. Maximize resources available for recovery efforts related to animals and animal agriculture. Be a resource for training to local emergency personnel. How to activate: Local emergency managers should call the county EOC for help from the immediate area and request a CART (County Animal Response Team). If the county is out of resources, they would call the State EOC, which would most likely assign ESF-11 to coordinate. More than likely, UEARC would be activated to the situation if it was in an area that had a CART team and it was of sufficient size to require those resources. This registry allows residents with special needs, disabilities and access and functional needs an opportunity to provide information to emergency response agencies so those agencies can better plan to serve them in a disaster or other emergencies. 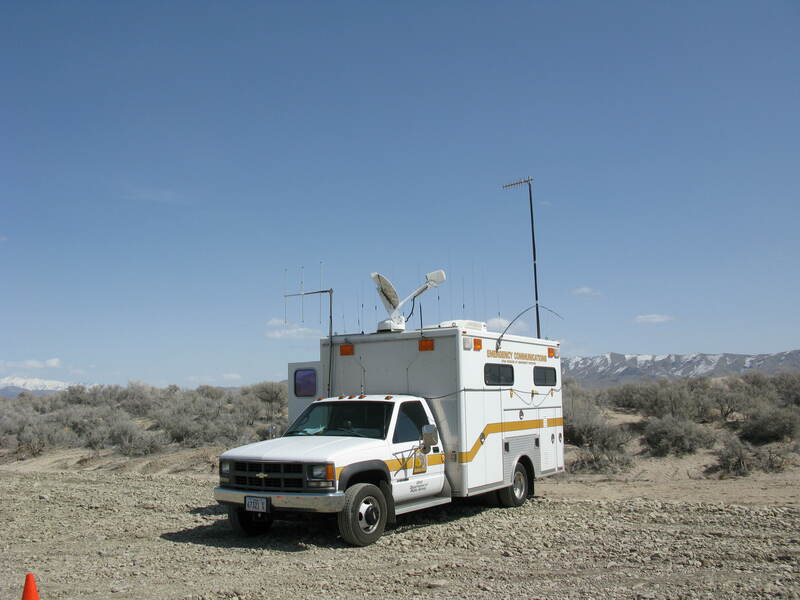 Utah Task Force 1 is normally a federal resource, deployed by FEMA to disaster sites. But DEM also has a memorandum with the task force to deploy its members as a state resource. The task force is self sufficient for three days. There are various channels that an emergency manager or local PIO can successfully use to request the PIO Association’s assistance. Once a request is made, information goes to the PIO Association members, who fill out a form with their availability. Information from that form is then sent to the requesting agency. Learn about the PIO Association here. Reach out to PIOs in your local joint information system. Don’t have a local JIS yet? Here’s how to get one started (under construction). If no local PIOs are available, either you or your boss should contact your county emergency manager, who can work your request up the chain. Don’t know your emergency manager? Check out DEM’s map here. If you still have no luck, send an email to piohelp@gmail.com. The subject line should be the incident name and the body of the email should include relevant information about what help is needed. Contact your regional DEM liaison, who can contact the DEM PIO to get the requesting process started. This will ensure proper tracking of costs. If your regional liaison is not available, visit http://emergencyinfoutah.com and select “Contact us/Make a report.” Fill out the form on that webpage, selecting “PIO or JIS help” from the drop-down menu. In the questions or comments field, include relevant information about what help is needed. The form will generate a request to the DEM PIO to get the requesting process started or for 24/7 support call 801-538-3400. If you cannot access that website, you may send an email to piohelp@gmail.com. The subject line should be the incident name and the body of the email should include relevant information about what help is needed. The Communications Van can provide on-scene communications interoperability. It can be deployed independently or in conjunction with the Mobile Command Vehicle and can serve as a back up to a variety of state resources, including dispatch centers. The van is equipped with 800 MHz, UHF and VHF repeaters, as well as a radio-to-radio interface that allows the patching of different systems. The van is available by request from any local jurisdiction experiencing emergency conditions, or it may be used in displays and public service events, depending on availability. The Department of Public Safety’s Mobile Command Vehicle is now available for state and local agencies to use during planned and emergency events. 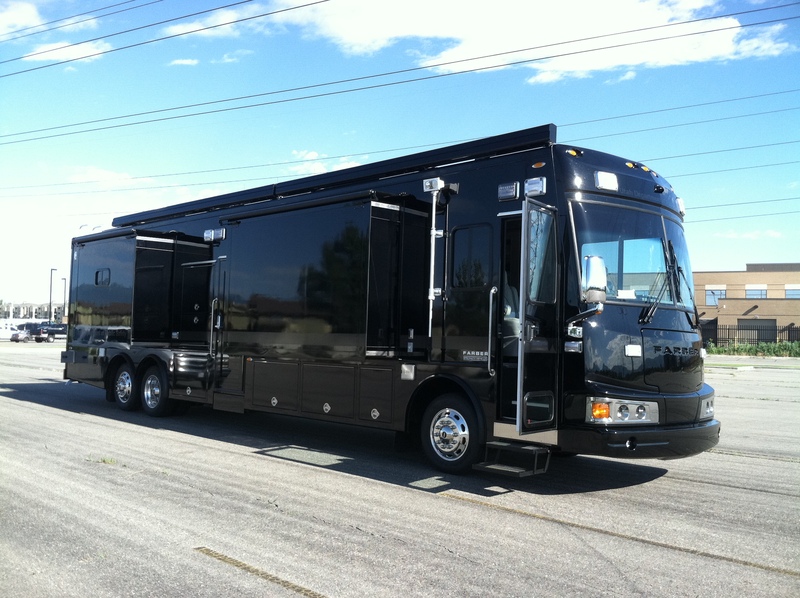 The 45-foot vehicle has nine work stations with computers, data satellite and satellite television. Its external camera is a color camera with thermal, infrared capability. There is no plumbing, but it can patch radios of various frequencies and can run electricity for weeks on its generator. It can also drive anywhere in the state on a tank of diesel. The mobile command is deployed with a driver. The U.S. Army Corps of Engineers has placed two Sandbaggers with the Division of Emergency Management. During flood season, one sandbagger is prepositioned in southern Utah and one in northern Utah. 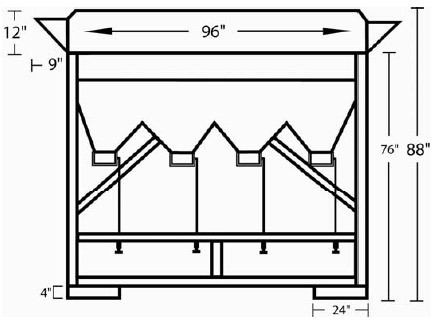 It requires four people to fill sandbags and one person to operate the front end loader to keep the hopper full. The gravity-fed model will fill 700-900 bags per hour, depending on the material and manpower, but you should only use sand, the drier the better. The operator simply presses a foot pedal to activate the flow of sand into the bag, and releases the foot pedal to stop the flow. 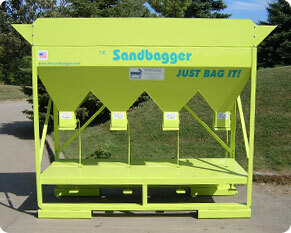 We’re happy to bring the Sandbagger to you, but you’ll be responsible for keeping it safe and secure and for keeping its users safe. 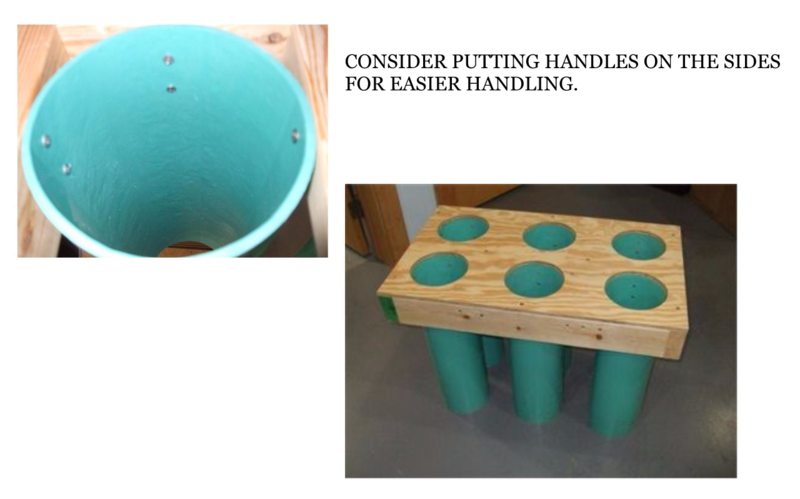 Need to make your own portable sand bag filling kit? Click the image below to download a pdf that explains how to make this kit.